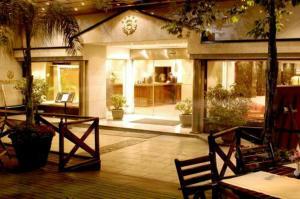 Etoile Hotel Recoleta, Buenos Aires discount hotels and accommodation. Eloite Hotel Recoleta, is located on the Recoleta steet in the most aristocratic neighborhood of Buenos Aires. It is very near from the main cultural and entertainment points of the city, Surrounded by magnificent gardens. Just a few minutes away from the most important convention center, 45 minutes away from the international airport and 10 minutes from the nearest shopping center. View photos, room descriptions and make online reservations at Etoile Hotel Recoleta. Save on room prices at Etoile Hotel Recoleta, Buenos Aires.